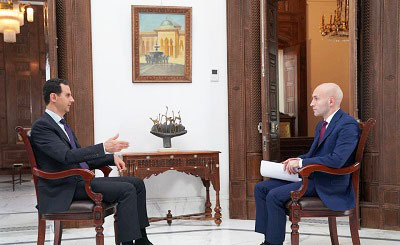 President Assad: To put it simply, after the liberation of al-Ghouta, it was suggested that we should move south. 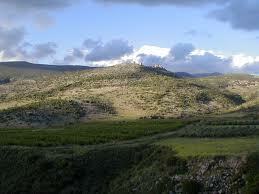 We were faced with two options, as is the case in all other areas in Syria: reconciliation or liberation by force. At this point, the Russianssuggested the possibility of giving reconciliation an opportunity, similar to what happened in other areas, in order to restore the situation that prevailed before 2011. In other words, for the Syrian Army to be deployed in that area, which is an area of confrontation with the Zionist enemy. And of course the terrorists should leave the area. This proposition suits us. Up till now, there are no concrete results for a simple reason which is Israeli and American interference; for they put pressure on the terrorists in that area in order to prevent reaching any compromise or peaceful resolution. That is how the situation stands now. 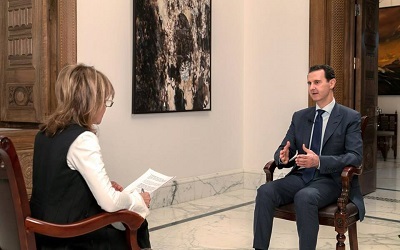 President Assad's Mail On Sunday Interview, June 10, 2018. Question 1: Mr. President, as of the 31st of March 2018, the total sum of funding that the British government supplied to the White Helmets, also known as the Syrian Civil Defense, is GBP 38.4 million. At the same time, Russia accuses Britain of helping stage the attack that took place in Douma via this organization, the White Helmets. 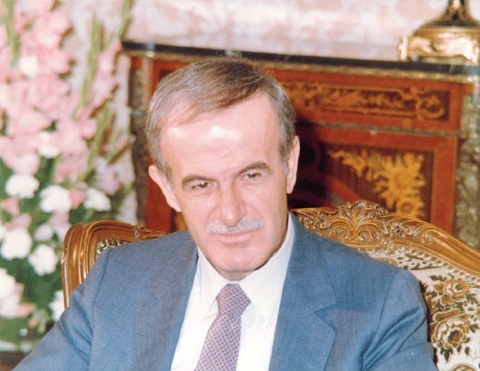 Do you, as Syria’s President, believe that’s true? 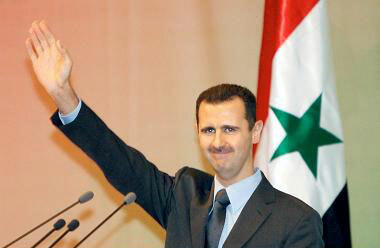 President Assad: Definitely, without a doubt. Britain, France, and the US are following and adopting the same policy. That said, to be completely frank and stark, Britain and France are political satellites to the US. The UK publicly supported the White Helmets that are a branch of Al Qaeda, al-Nusra, in different areas of Syria. They (Britain) spent a lot of money, and we consider the White Helmets to be a PR stunt by the UK. So yes, definitely, it was staged by these three countries together, and the UK is involved. Question 2: British Prime Minister Theresa May said she had no doubt the Syrian regime was behind the April 7 chemical attacks and told her critics that Britain’s participation had been right and legal and permitted under international law to alleviate humanitarian suffering. 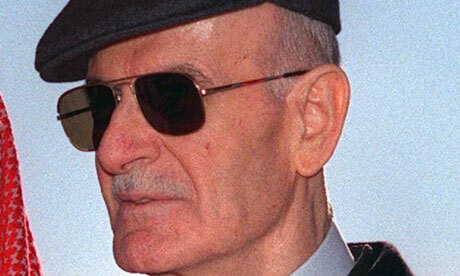 Do states not have a responsibility to protect against war crimes? How is the UK participation in strikes against Syria not justified under international law? 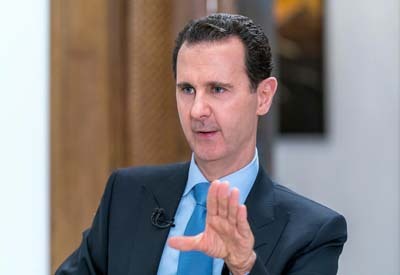 President Assad: So, according to her statements, when Britain and the US attacked Iraq illegally in 2003, killed millions, caused mass destruction, let alone the number of widows and amputees – according to May’s logic, any government has the right to attack the UK or the US if it thought the act was justified, legal and allowed under international law to alleviate human suffering. This is first. Second, they told a lie; they didn’t provide their own public opinion – the British public – any evidence. 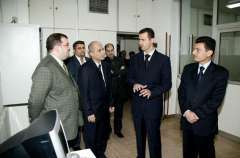 After we liberated al-Ghouta, where the alleged attack happened, many foreign journalists, some of them against the Syrian government, asked local people about the chemical attack, and they said “we didn’t see any chemical attack, it didn’t happen.” It was a lie, especially after we liberated that area, our information confirmed that that attack did not take place. The British government should first prove with evidence that the attack happened, and then they should prove who is responsible – of course this did not happen. There was no attack; this is where the lie begins. 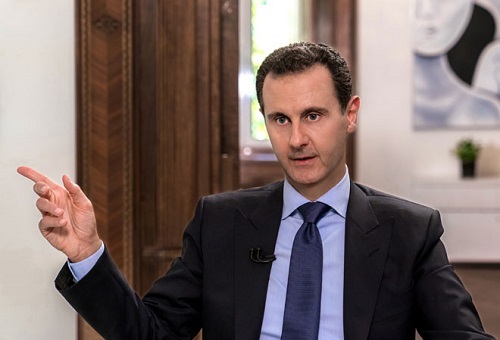 Again, it wasn’t about the attack; the crux of the issue is that they need to undermine the Syrian government, as they needed to change and topple the Syrian government at the beginning of the events of the war in Syria. They keep failing, they keep telling lies, and they continue to play a war of attrition against our government. Question 3: Unconfirmed reports have circulated that the Syrian government captured Western regular forces, as well as British fighters. Can you confirm this or shed light on these reports? President Assad: There are fighters from all over the world helping the Jihadists. I wouldn’t say we have British fighters who are alive. 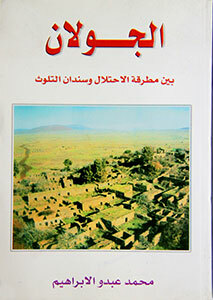 Most of those fighters, they are dead, they came here to die and to go to paradise, that’s their ideology. Journalist: But you confirm that they’re dead, and they were from these countries? Question 4: Have there been any attempts, even through mediators or third parties, by the British government or its intelligence branches to establish communications with Syria for intelligence for whatever reason? 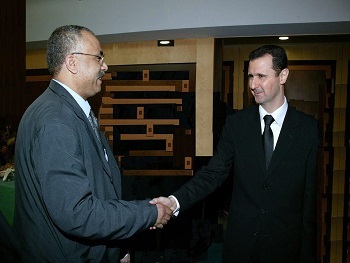 President Assad: No. We did have communications from different intelligence agencies in Europe, but it was stopped recently because they’re not serious. They want to exchange information despite their governments being politically against ours, so we said when you have a political umbrella for this kind of cooperation, or let’s say when you change your political position, we’re ready. Now, there’s no cooperation with any European intelligence agencies including the British. 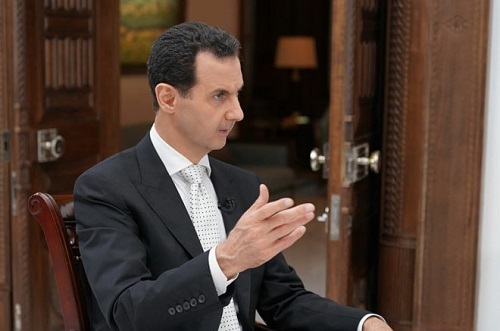 President Assad's Interview with the Greek Kathimerini Newspaper, May 10, 2018.